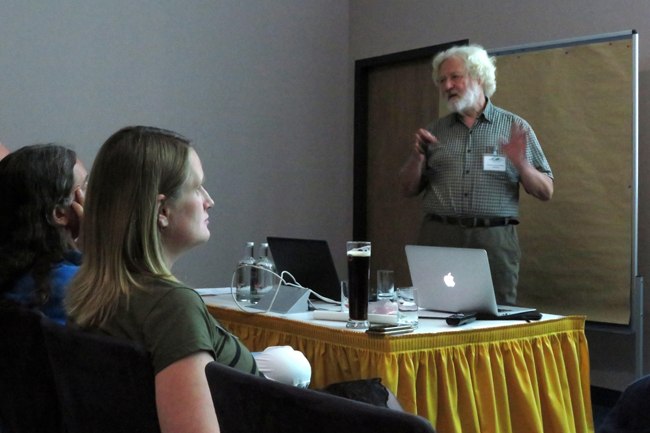 Armin Schreiner‘s welcome address, especially to the international members.Special topic raised: Ecological balance of extreme traveling – What could possibly be done to relieve one’s bad conscience? while trying to answer the above question. Shall the German chapter go on Facebook? Members voted with a 7 (pro) to 7 (against) draw. Stephan Behringer and Christoph Heuermann volunteered to start a tentative fb-page project in order to gain some experience. They will report. How shall the meeting-room costs be balanced for no-shows (80% of fees due!) who didn’t pay in advance (only 1/6 no-shows did so)? payments will be introduced from 2019! Unanswered questions to TCC-US Headquarters: Although some information on TCC financial matters are available on the website’s “forum,” quite a few members complained about a lack of transparency of TCC’s internal structures. E.g. : a) How is the treasurer audited? b) How is a new president (or treasurer etc.) elected? c) Who decides on the current list of territories (and by which criteria)? With respect to the latter it was noticed that the territory list does not always follow the given set of criteria; misallocations occur in both ways: Territories fulfilling the criteria are not listed while listed territories do not fulfill the criteria! According to a wish expressed by TCC-US Headquarters the options for more than one annual meeting were thoroughly discussed. 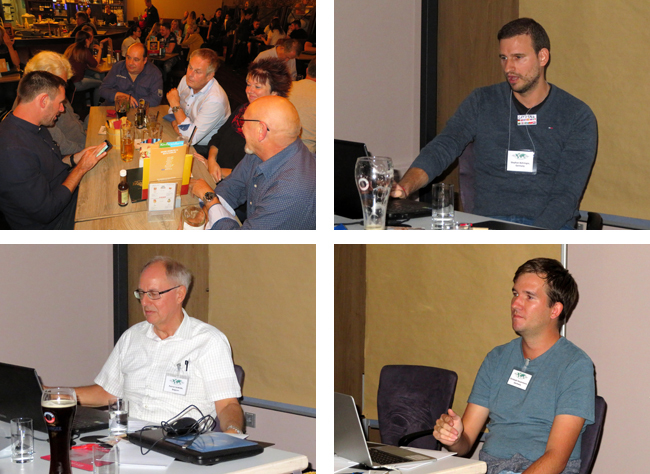 Members discussed (and voted for) the following options: a) A proper second meeting in another German city. b) A second “luncheon-type” meeting, centralized. c) Decentralized “luncheon-type” meetings. d) A proper second meeting in a non-German city. As a result of the votes, option d) was generally accepted! 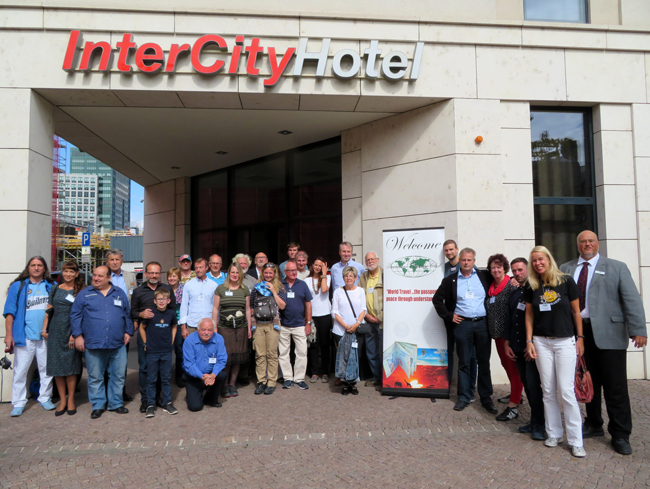 participants – the “German” chapter shall be renamed, e.g. “Central European” chapter, if approved by TCC-US Headquarters. In 2019, the first city hosting a meeting will be Brussels, Belgium. The meeting will take place in either March or April 2019 (to be announced). The second city hosting a meeting will be Stuttgart, Germany (2020: Nuremberg). The meeting will take place on Sept. 14, 2019. Armin Schreiner showed two times 100 pictures this time on the nature (and a little bit of Maori culture) of New Zealand and the Cook Islands. North Island highlights included (next to swimming in sulphurous Lake Rotorua) life forms such as kiwis, tuataras, glowworms, wetas, gannets, and hobbits while the South Island sported massive formations and glaciers of the Southern Alps. What a contrast to the island paradise of Aitutaki! Verena Tauchert presented a video on her prolonged trip on the beautiful Basque part of the Way of St. James. She took the trip together with her son Lukas Thor (named after Thor Heyerdahl), who was not even born at the time of our Wuerzburg meeting last year. Although traveling with young children is not always easy, the youngest TCC-related traveler at the Leipzig meeting has already visited 8 countries! Patrick Dewilde gave us very detailed background information on many aspects of the area of the Pacific Ocean widely known as Micronesia and its surroundings. His expertise (presented in the form of educational images and graphs) comprised the geological and political history of the island realms as well as their local flora and fauna. Stephan Behringer, the communications wizard, did not discover North Korea without taking at least a few days of intensive language training. However, in view of the communist architecture all around, the question arises whether or not this idiom is going to be of much help in a typical Seoul neon arcade after dropping your virtual-reality visor – luckily, Stephan did not choose the wrong words while still in the North!